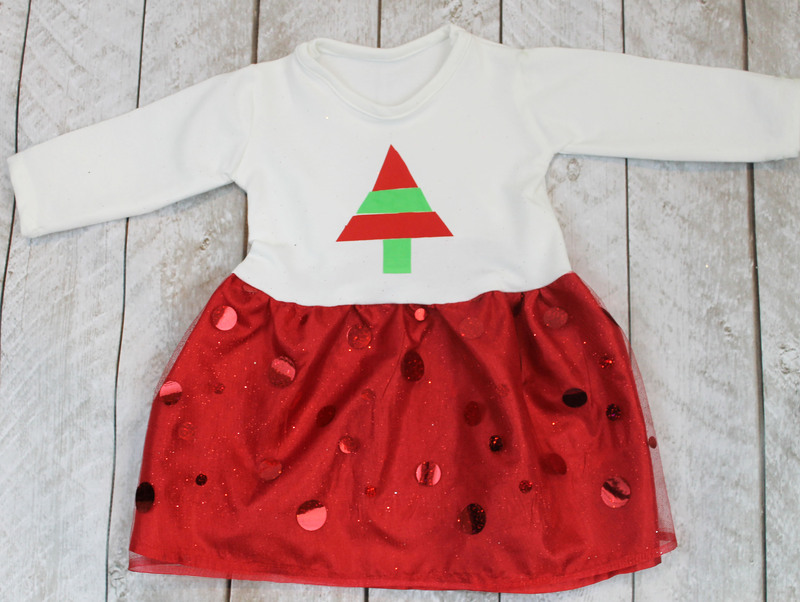 I am excited to be part of the Holiday Sewing Blog Tour hosted by Scattered Thoughts of a Crafty Mom this Christmas season. During this tour, you will enjoy a new sewing project every day from December 2nd to the 20th from 17 different bloggers. I love sewing tiny dresses. 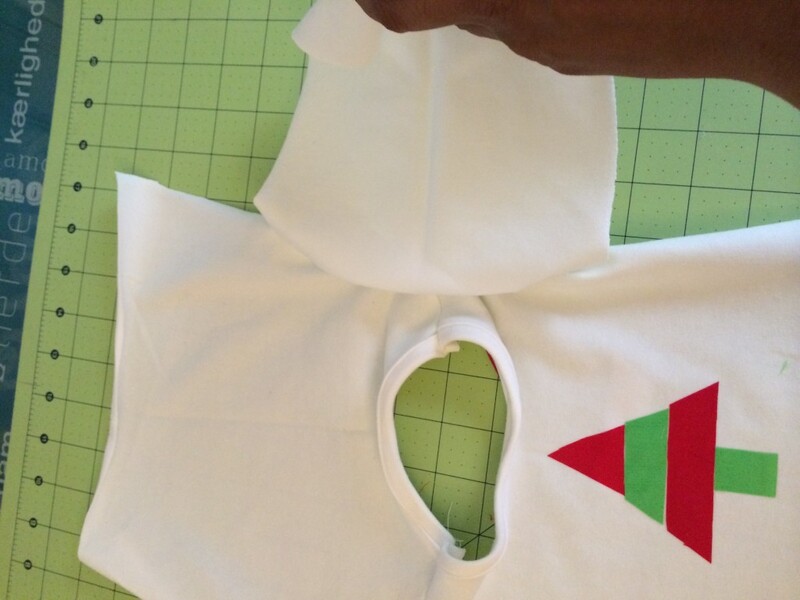 They look adorable, are easy to sew and can be done in just a few hours. 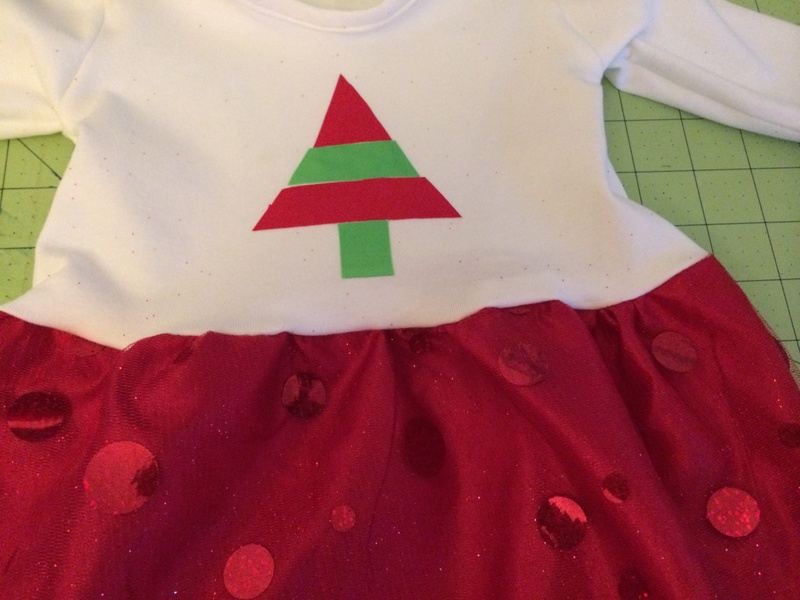 My friend has a little baby girl and I decided to make her a Christmas dress. 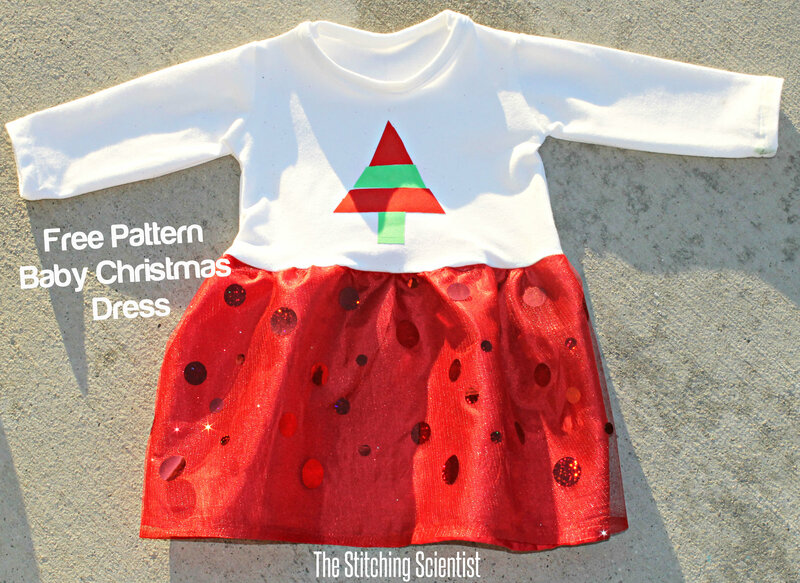 This pattern consist of a simple long sleeve knit top attached to a hipster skirt. 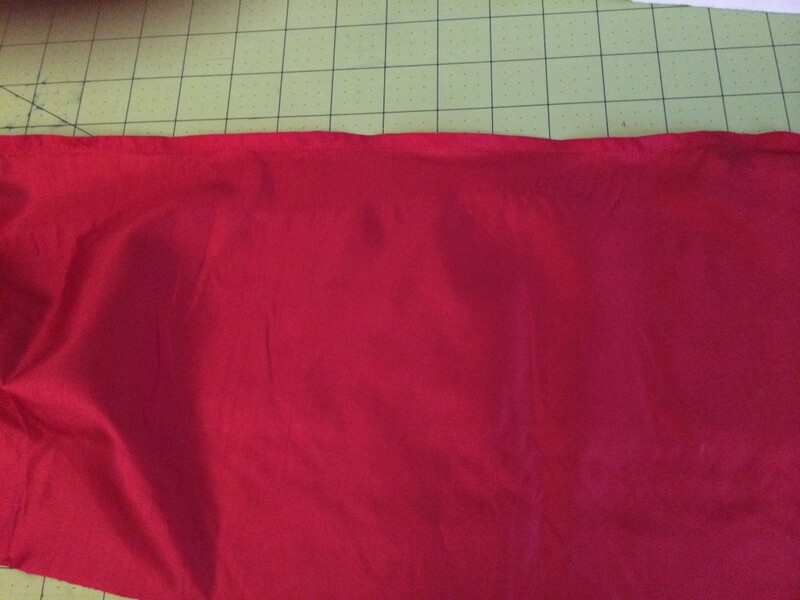 I found some pretty shiny tulle and decided to layer it over red lining for the skirt. To accessorize the top, I made a cute little Christmas tree and attached it with ultrabond. 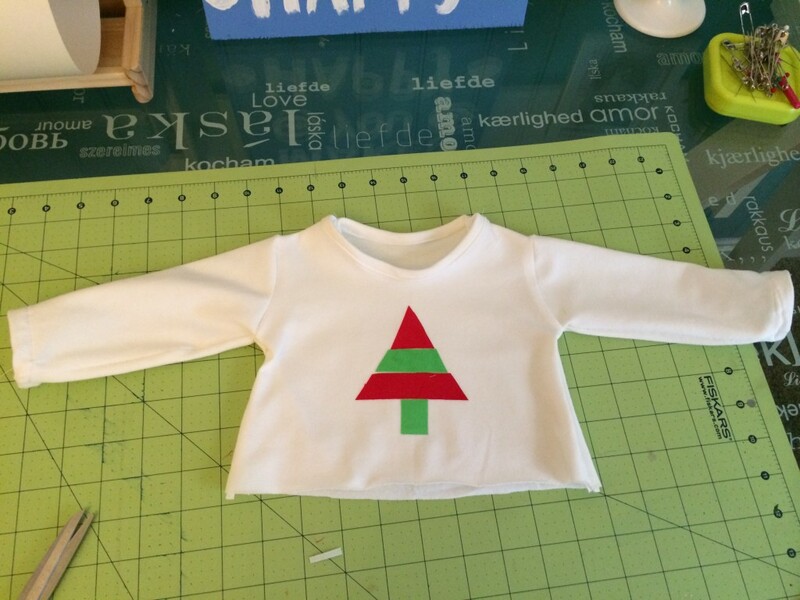 This baby pattern comes in sizes 0-3 months, 3-6 months and 6-9 months but you can create your own pattern with a long sleeve t-shirt that fits your baby. Here is the 3-6 month I made for little Maya. 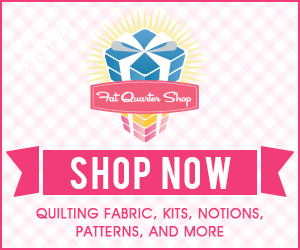 Enjoy the free pattern! 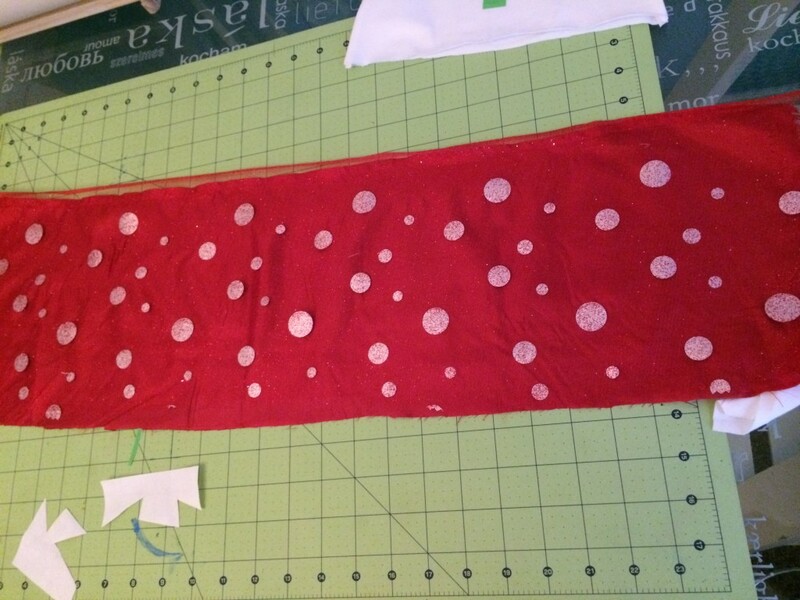 I love the polka dot red tulle over the satin lining. The combination really shouts Christmas. The bottom can be changed based on personal preference. You can do ruffled instead of a lined A-line skirt. I also think this dress will look great a tunic under a pair of cute green leggings. Step 1- Download your pattern HERE. Cut out your pieces. 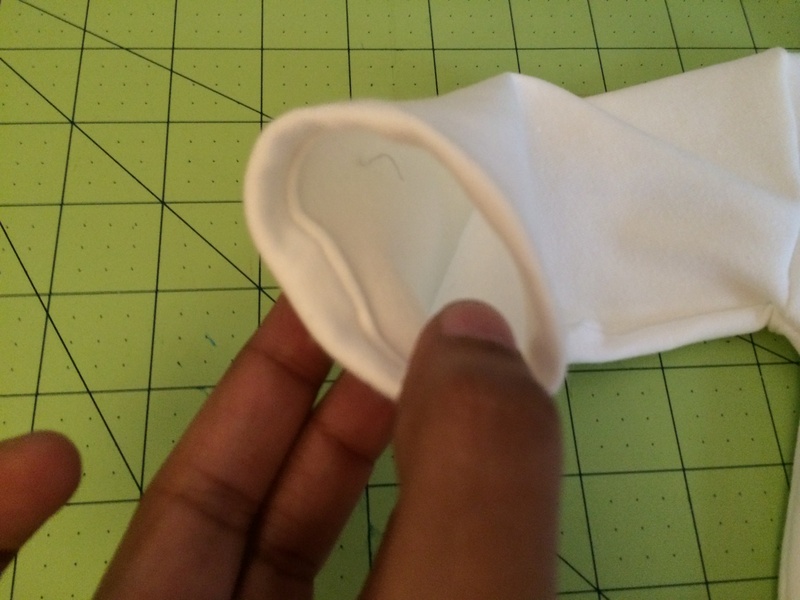 The pattern already has 1/2″ seam allowance. 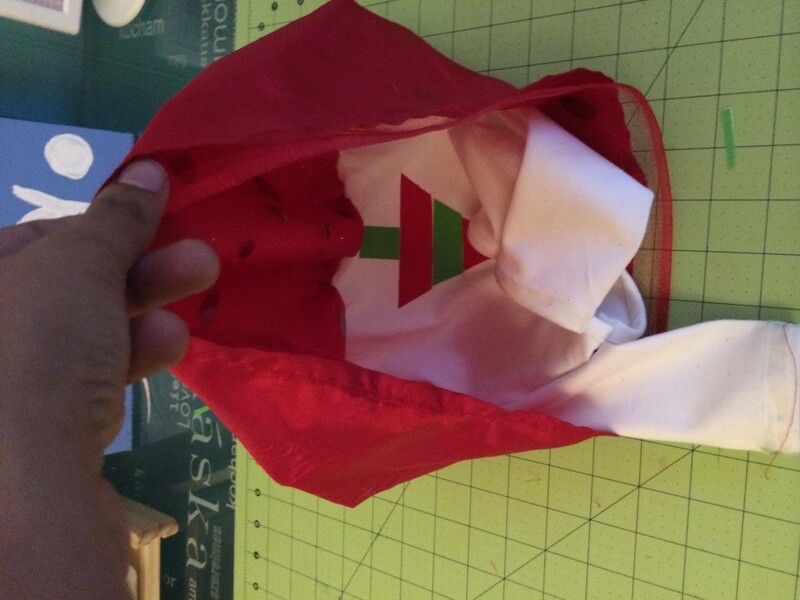 You will have 1 front, 1 back, 2 sleeves, 1 tulle, 1 satin, 4 pieces for the Christmas tree. 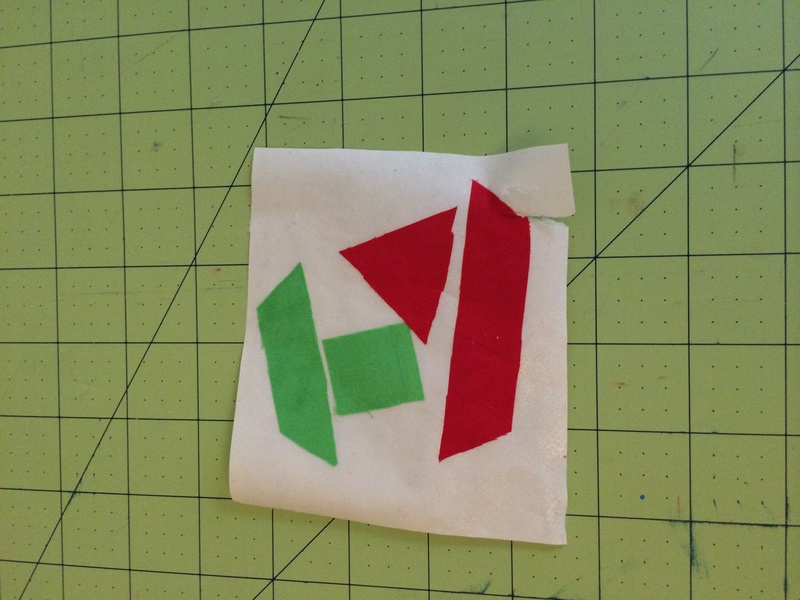 Cut out 2 strips 8″ x 2″. 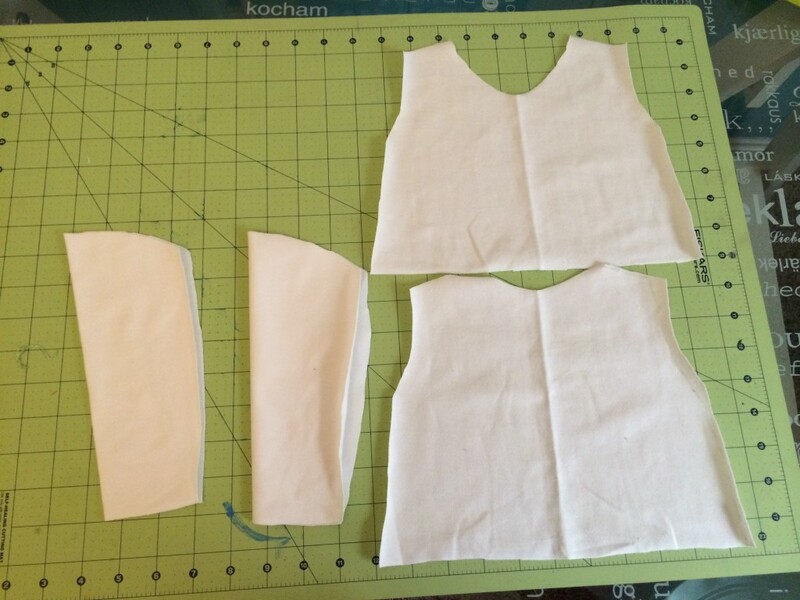 Fold in and iron the sides and sew on the raw edges of the front and back pieces. 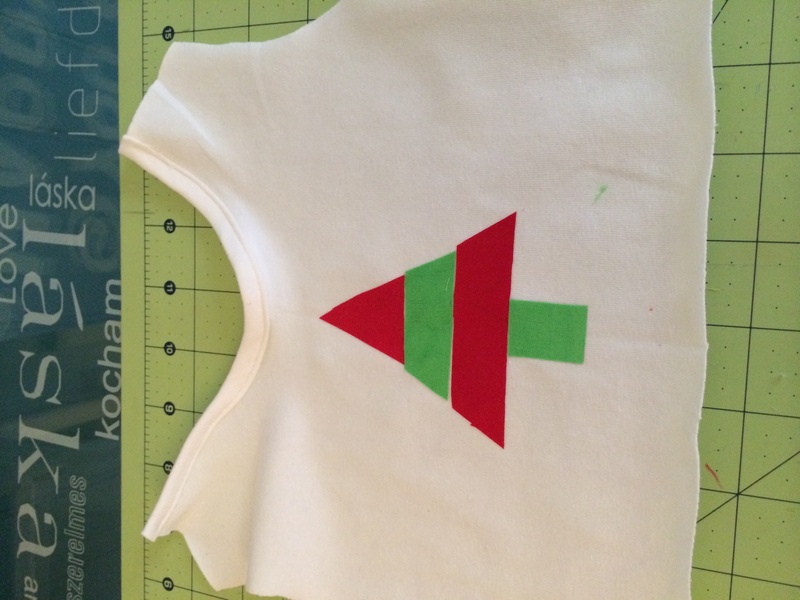 Step 3-Iron on the Christmas tree pieces to ultrabond. 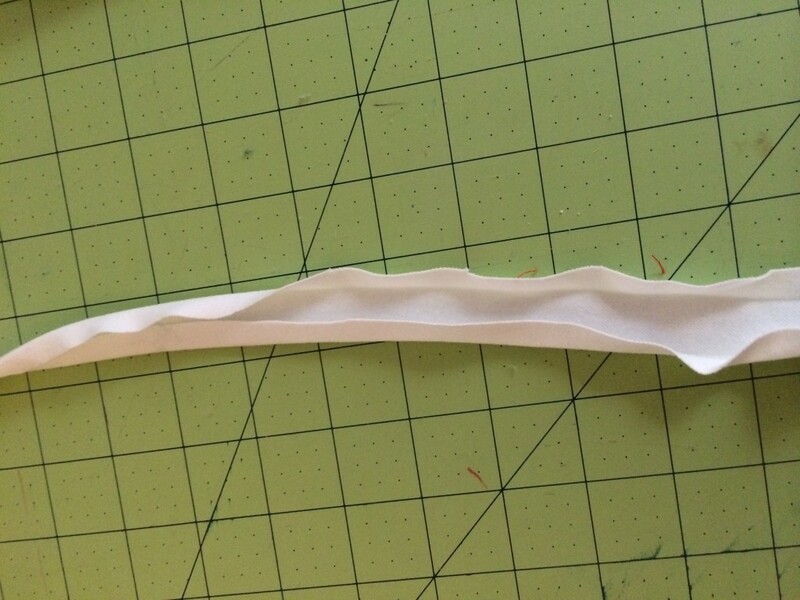 Peel and attach on front of shirt. Sew front to back right sides together at the shoulders. 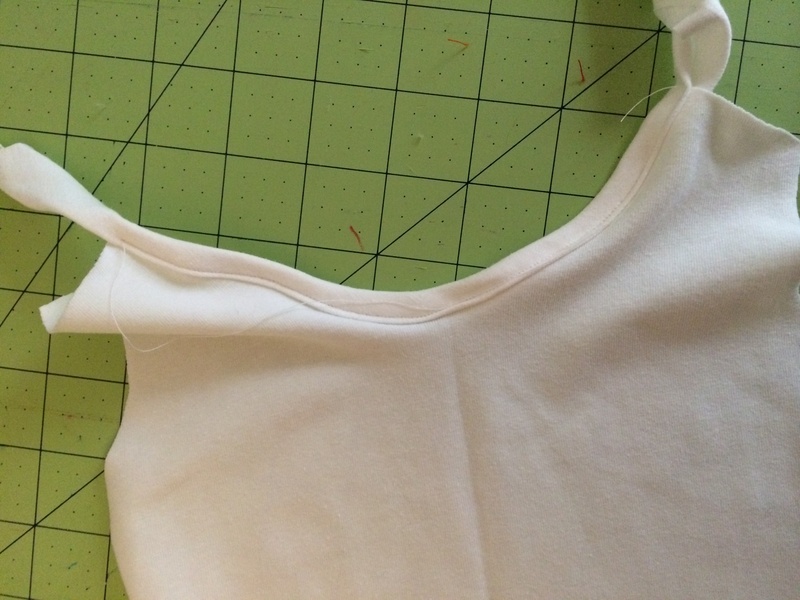 Step 4- Sew sleeves to armholes right sides together on both sides. Step 5- Sew down the sides of the sleeves and down the sides. 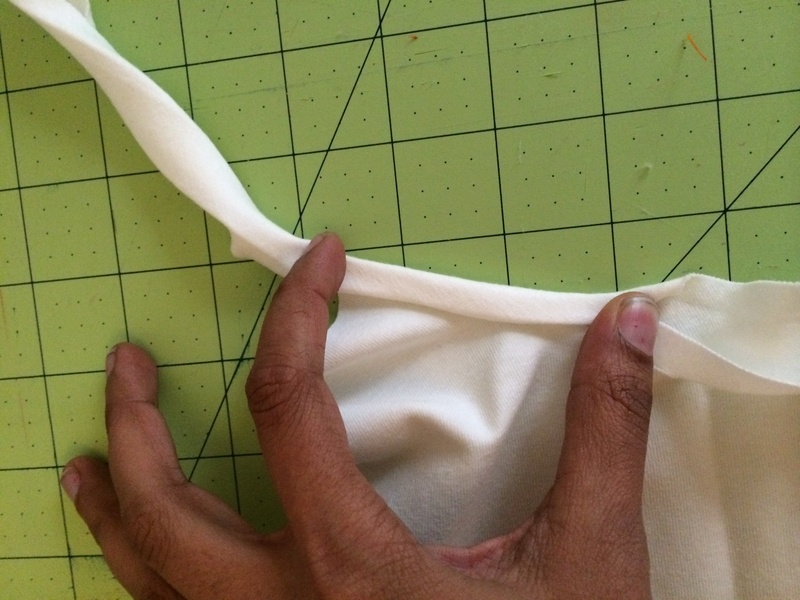 You can also hem the bottom of the sleeves at this stage. Step 6- Hem the satin piece by folding in the bottom twice ironing and sewing down. 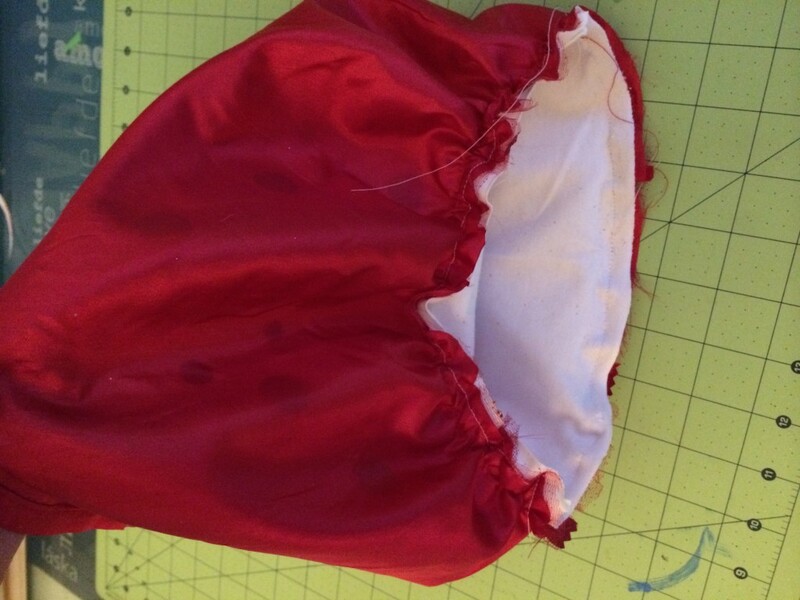 Step 7- Take the tulle and lay on top of the satin piece right side to wrong side and sew a gathering stitch on top. 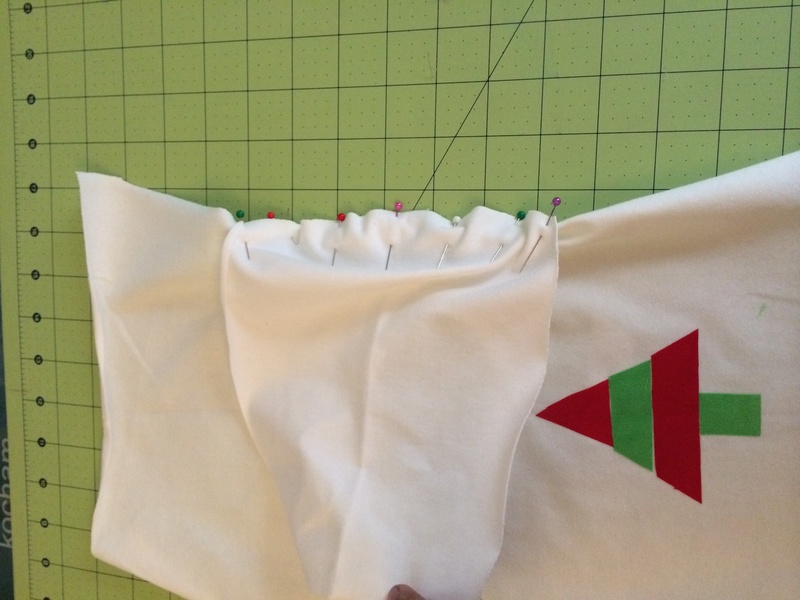 Pull the gather thread and pin right side to right side on the bottom of the top piece of the dress. Sew around. That’s it! 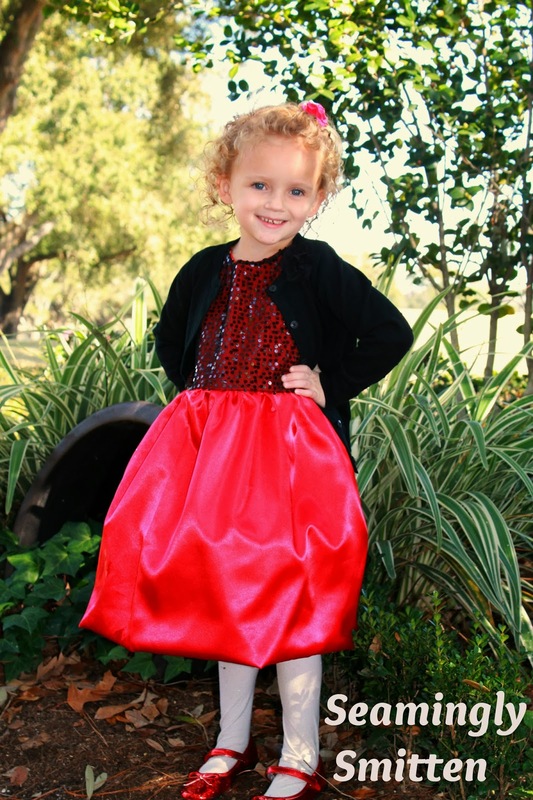 Your little angel can shine in her Christmas dress this holiday season. 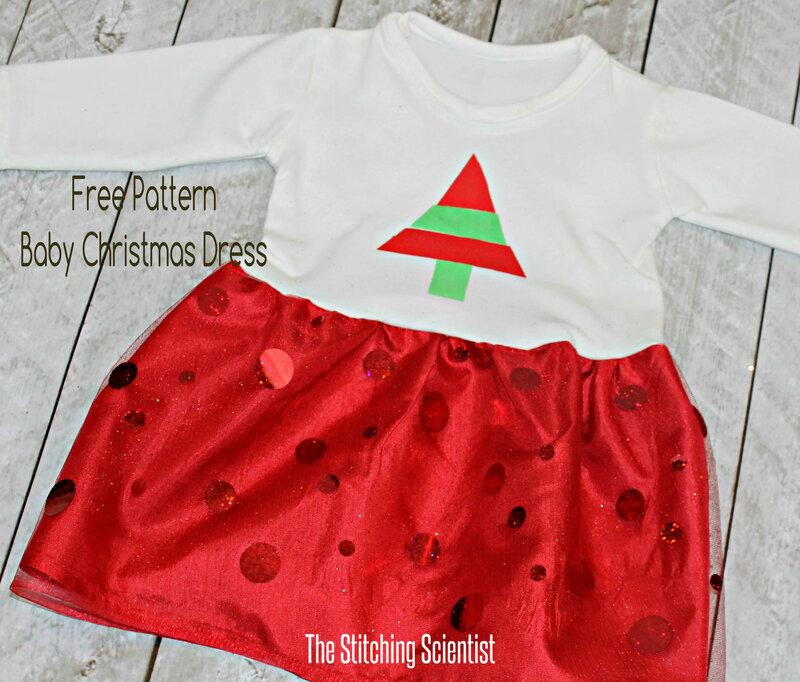 I hope you enjoy this Free Baby Christmas Dress Pattern. Please join us in the Holiday Sewing Blog Tour hosted by Scattered Thoughts of Crafty Mom for other awesome sewing projects. 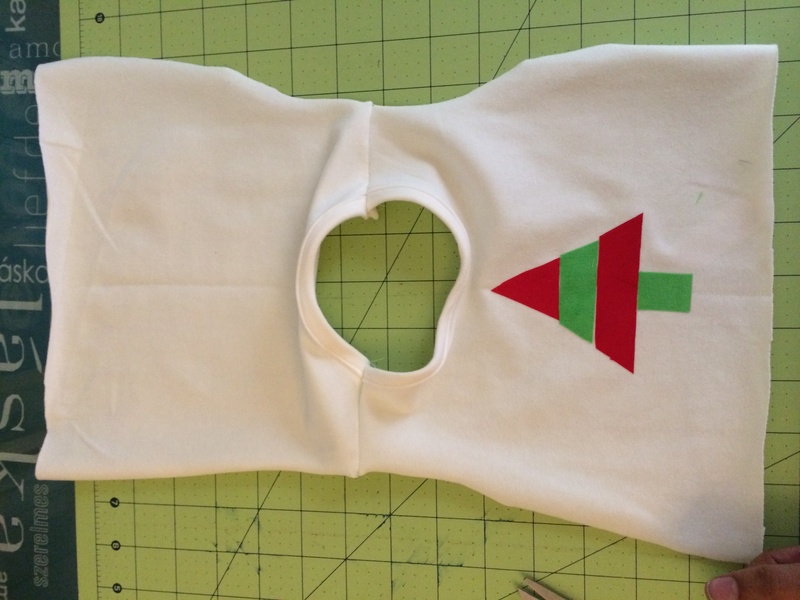 Check out this adorable apron from Rae Gun Ramblings that was featured yesterday on the tour. 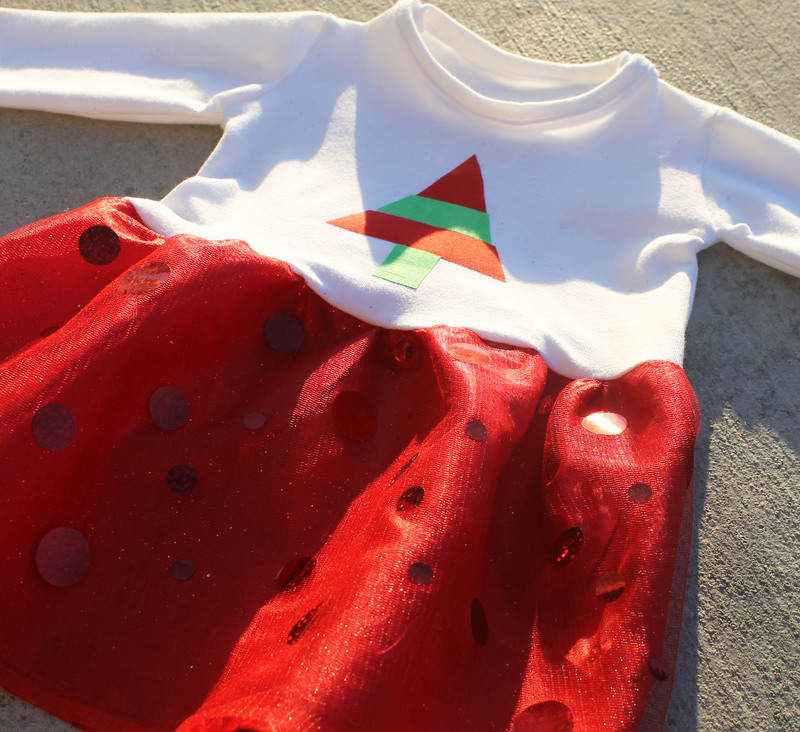 Check back tomorrow to see A Girl’s Christmas Dress from Seamingly Smitten. 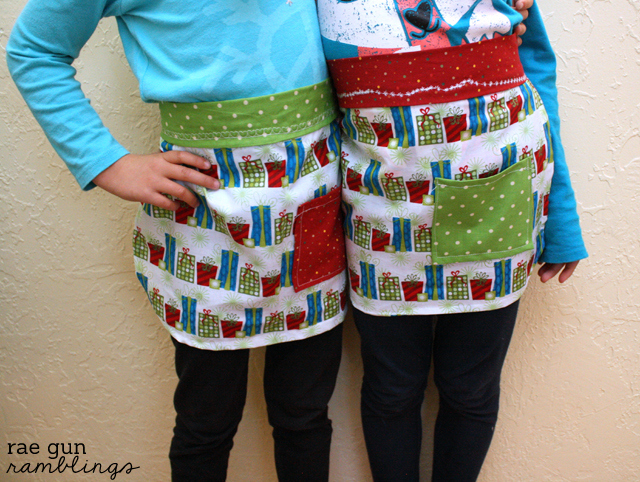 On Dec 21st, Scattered thoughts of a crafty mom will have a linky party open to all readers to link up any new (this year) holiday sewing projects. Along with the link party, she will also be drawing the winner for the brother 1034d serger. Be sure to enter to win!